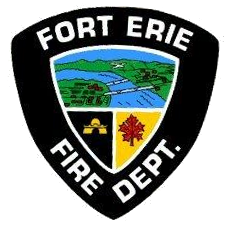 As you may know, the Fort Erie Fire Department (FEFD) is primarily made up of volunteer firefighters. What does this mean? When the FEFD is dispatched to an emergency, volunteer firefighters from all over town are notified to assist. Because emergencies are unpredictable, our volunteer firefighters may be called upon at any time; 24 hours a day, 365 days a year – even during business hours. Therefore, the Town would like to thank all the businesses who support the efforts of the FEFD. By allowing their staff (our firefighters) to temporarily leave work and assist with an emergency, they are making our community a safer place to live. Besides being a great way to serve one’s community, being a volunteer firefighter has a number of benefits such as expert training, professional development and an annual honorarium. In order to fill existing and impending vacancies, the FEFD is accepting applications for volunteer firefighters until April 29, 2016. If you are a member of our business community, we are asking for your support to enable and/or encourage your employees to be a part of our team. In addition, if you or one of your employees has a strong desire to help others, are 18 years or older and reside in Fort Erie, we encourage you to learn more by contacting Deputy Fire Chief Keith German (905-871-1600 ext. 2602 or kgerman@forterie.ca) or by visiting forterie.ca > residents > emergency services.